Three years ago Lewisham was named the most unsafe place in the country by the Institute for Economics and Peace. Now it’s in a renaissance period of civic transformation as Lewisham council is working with local partners to inspire people across the borough to shape their shared spaces. How? 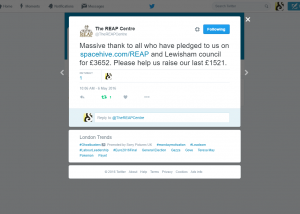 Through civic crowdfunding. 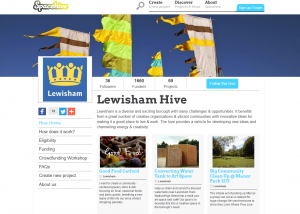 Since the first Lewisham fund launched on Spacehive – the world’s first crowdfunding platform for civic projects – at the end of last year, twenty projects have already been successfully crowdfunded. The projects ranged in theme and size from small environmental projects like the £700 children’s art project made from recycled materials to more ambitious creative projects like the StoneCrabs Young Directors Festival which needed over £43,000 to hit its target. 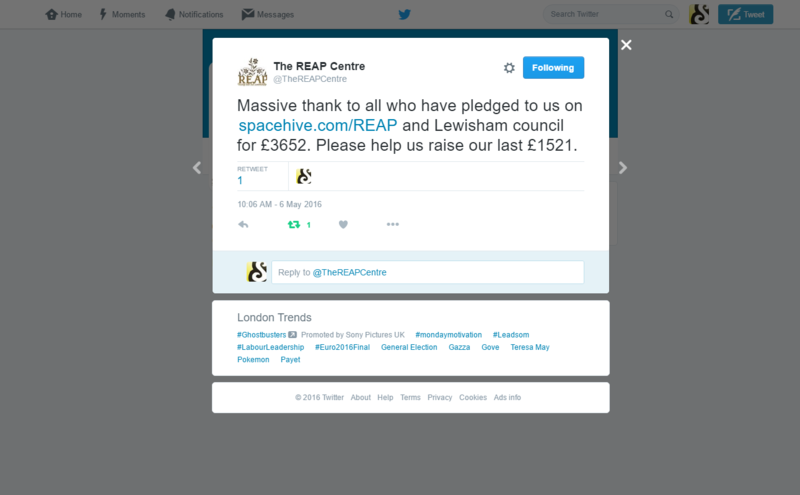 But what made Lewisham Council turn to crowdfunding in the first place? Analysis by the FT last year showed that local government services were struggling to balance growing demand alongside increasing budget cuts equalling £18billion since 2010. When Lewisham Council adopted civic crowdfunding as a way to distribute their grants, they were naturally looking to address reduced resources but importantly they were looking to create a more sustainable funding model for the broader voluntary and community sector as well as building the skills and capacity of local organisations. 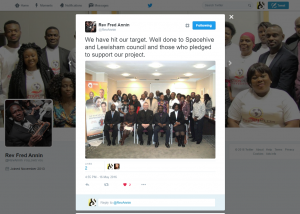 With a funding pot of £100,000 the council invited local groups to upload their project ideas to Spacehive and demonstrate community support before they then pledged up to £10,000 towards the best. Lewisham projects have now collectively raised over £241,000 from over a thousand funders making it one of the most active London boroughs investing in civic crowdfunding. The impact of funding is maximised by the increased number of co-funders at the same time as transparent public support de-risks the decision to fund projects. Locals are empowered through creating and delivering projects which matter to them and what started off as one funding pot – the Small and Faith fund – has now grown to four with even more looking to get started in the next few months. In Lewisham the potential for growing the programme is huge as more grant pots are added to the mix and citizens are given a greater opportunity to become change makers within the community.